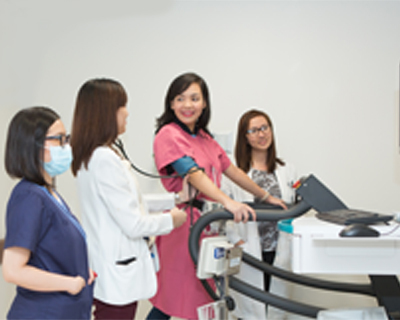 The Heart Care Service is one of Manila Doctors Hospital’s specialty diagnostic units that has been expanded and remodelled to accommodate more advanced and state of the art cardiovascular medical equipment to aid in the diagnosis and evaluation of heart related symptoms and disorders. It utilizes the most advanced and sophisticated information management system that records patient data and images which gives our consultants easy and comprehensive access to closely monitor patients’ progress. The Heart Care Service offers a broad range of cardiovascular diagnostic procedures performed by highly competent and trained cardiac technologists and support staff, who are closely supervised by board-certified Cardiologists to ensure delivery of world-class quality and safe healthcare.